Offering an outdoor swimming pool and located just 500 metres from the beautiful Marari Beach, A Beach Symphony provides 24-hour front desk for the convenience of the guests. It offers free wired internet in the public areas of the property. 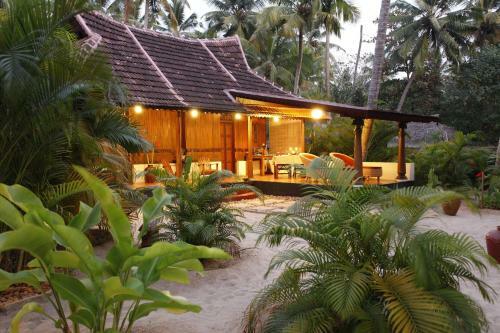 With just four individually designed Kerala cottages, A Beach Symphony is an intimate and homely place to stay on Marari Beach, just a short drive from Cochin. A Beach Symphony, Kerala beach resort at Mararikulam, offers impeccable accommodation and unique hospitality services. a beach symphony alleppey,cottages on the beach,resorts in alleppey,beach resorts at Marari,alleppey hotels,kerala alleppey,alleppey resorts.